All materials © by original authors. Materials contained herein are presented for promotional purposes only. Design, layout, and text © 2019 John Majkut. The Netflix Original “Super Monsters Furever Friends” spring special recently began airing. John wrote and produced the songs “First Night of Spring”, “First Night of Spring - Reprise” and “You Never Know” for the special. Erin Mathews’ (Frankie) performance of “You Never Know” is just off-the-charts adorable! Oh, oh, weh, oh! Bheem! John was asked to create the theme song for the Netflix Original series “Mighty Little Bheem” and, additionally, to compose the orchestral underscore for the show. The show follows the baby Bheem on his adventures in and around his home and village in India. Shout out to the animation team. That’s when we’re just starting out our day... real late! It’s great! John completed the theme song for the children's television series “Super Monsters” on Netflix. The Netflix Original series is currently in its second season. 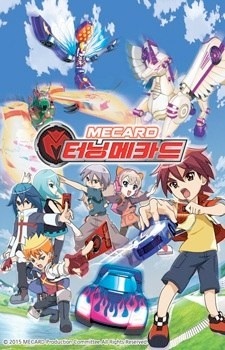 John recently was asked to compose and produce the theme song for Mattel’s animated series “Mecard”. In addition to an extended, two-minute version of the song, John, also, wrote additional music for the show and promotionals. John recently came onboard as music/voice director for the animated version of the Mattel brand “Wellie Wishers”. The recording sessions for the songs are a real treat as each and every one of the kids in the series is so talented. 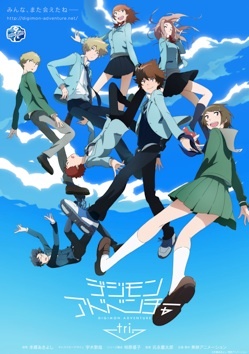 John recently completed work on the throwback song “Digimon Are Back (Again)!” for the newest season of the beloved animated series DIGIMON (“Digimon Adventure Tri”). The song features the vocals of none other than Ian Nickus. John recently began work on the underscore for an upcoming animated series for Disney China. Set in the Huangshan Province... and, of course, Space, the series revisits a beloved, fan-favorite film character with a new family and foes but, also, with many familiar friends. More coming soon! John recently completed work on the series “Tenkai Knights,” currently airing on Cartoon Network in the US, Teletoon in Canada, and in other markets globally. In addition to theme music and underscore for television series, John provided music for numerous Tenkai ads and promotionals.